Winter months are fast approaching. Along with colder weather, higher energy bills are part of the change of the seasons. You can expect 40% to 50% of your energy bills to go towards keeping your home comfortable when it’s cold outside. Being able to heat your home efficiently will help lower your energy bills without compromising your family’s comfort. Let’s look at 7 ways you can keep your home comfortable this winter while saving energy and money. The insulation in your attic may be inadequate for keeping your home comfortable because it deteriorates over time. Increasing the amount of insulation you have in your attic will help keep warm air from rising out of your home through the roof. If you feel comfortable, make it a DIY project, or bring in a professional to add insulation to your attic for you. Small cracks around your windows and doors can let cold air inside your home, creating drafts. You can also have air drafts through cracks in your outer walls and through the floor. Sealing these small cracks to prevent the air drafts will lower your heating bills and keep your family more comfortable. Use caulk on cracks and weatherstripping around the openings of doors and windows. Your heating system loses its original efficiency after a season of use. That is why it’s important to bring in an HVAC professional to inspect and service your heating system at least once a year. This will help keep it running efficiently and that will help keep your energy bills down. Routine maintenance and service also help keep your system in top shape for longer. Passive solar energy is one way to keep your home warmer while lowering your energy use since this type of heating costs you nothing. As the sun moves towards the southern sky during the winter, the best way to get sunshine inside the house is to open the south-facing curtains. When you are sleeping or away from the house, there is no need to keep the house at the same temperature as when you are awake and at home. Lowering the temperature 4 to 8 degrees when you are asleep or away can lower your heating bills significantly. You can do this manually. The easier option is installing a programmable thermostat. According to the US Department of Energy, you can save 1% for each degree that you can lower your thermostat for an 8 hour period. An easy way to achieve this is by wearing warmer clothes inside the house. 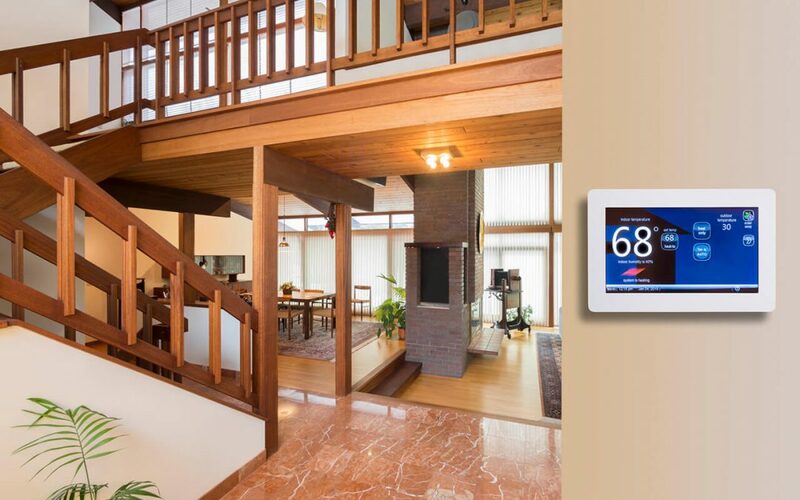 This will allow you to lower the thermostat a couple of degrees and lower your energy bills in the process. Insulated curtains and drapes help keep the cold outside and the heat inside of your home. You can find insulated windows coverings in many styles and colors and different price points. These tips will help you get started with managing your energy bills this winter and keep your home free of unpleasant drafts. Start implementing these steps to heat your home efficiently now. Scout Home Inspections serves New Hampshire and Maine with home inspection services. Contact us to book an inspection.